“There are two big forces at work, external and internal. earthquakes, floods, disasters, illness and pain. What really matters is the internal force. How do I respond to those disasters? I’ve been fortunate enough to have checked off my three dream trips from my bucket list, one of which was to go on safari in Tanzania, Africa. Africa. Just saying the name of the continent brings thoughts of adventure, mystery, vast plains, predators (both human and animal), culture, excitement, drama, exotic, richness. Something completely different. Something unusual. My husband – not the risk taker – not comfortable with change – had to be coaxed (I think all of the necessary inoculations had something to do with it; he’s not good with needles). Once he decided to tag along, whenever anyone asked him if he was frightened about being so close to all of the wild animals, he very smugly answered, “I don’t have to run faster than the animals; I just have to run faster than Theresa.” Then he would show off his new running shoes. Nice guy. My son and his fiancé, however, were eager to be a part of this once-in-a-lifetime experience, so I made the plans. I booked it a year in advance through andBeyond ( http://www.andbeyond.com ), a company that believes in care of the wildlife, care of the land and care of the people through conservation partnerships and sustainability. We flew from Newark to Amsterdam, then from Amsterdam to Arusha, Tanzania. Our adventure had begun. In order to make the most of our days in Tanzania, I specifically booked a trip that would take us between lodges and/or camps by small plane (10-12 passengers) rather than by jeep; roads in the bush are essentially non-existent – they are more bumpy trails that take hours and hours to traverse. When flying between lodges, the vastness of the land is more apparent. As far as the eye can see, nothing but land – no civilization – with things that looked like ants which were really hundreds of animals, grazing on the savannah. Serengeti National Park. Ngorongoro Crater. Lake Manyara. We saw giraffe, lions, leopards, black rhinos, cheetahs, wildebeests, Cape Buffalo, ostrich, baboons, monkeys, antelope, zebra, flamingos, birds (so many species), hippos, crocodiles, hyenas, warthogs, elephants…I can’t remember them all. In their natural habitat. 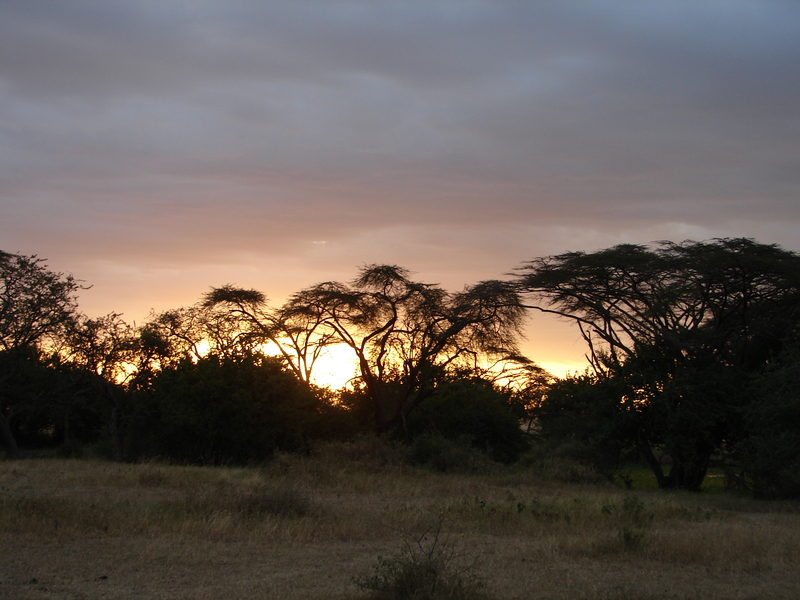 We slept in small camps with tents or rooms in lodges, with nothing separating us from the animals but stilts or screens or the Maasai tribesmen employed by andBeyond to walk guests to their tents at night, armed with a flashlight and a spear. We fell asleep to the sounds of elephants chomping or hippos swimming or buffalo coming through the brush. No telephones, only a canned air horn to sound if there was an emergency, and the Maasai and staff would immediately come to the rescue. We never used it. At no time was I afraid. And that included being on safari, in either a wide-open Jeep Land Rover or a Jeep with a pop-up top, watching as the lions crossed three feet in front of us, as the lionesses rubbed up against our tires, in the midst of hundreds of thundering wildebeests while having our morning coffee or floating above the Serengeti in a hot air balloon. On safari, we went out on two game drives each day. One in the early morning, then one in late afternoon. Different breeds of animals prowl at different times of the day, so two game drives gave a better chance of seeing different types of predators. The elusive leopard, hard to see during the day camouflaged by the leaves in the trees where it slept, could sometimes be found on the move at night. The safari was everything I had hoped it would be, and so much more. The Tanzanian people were all so kind. In fact, many of them expressed surprise that we would come so far just to see their country. Everyone was welcoming. We were able to visit an actual (not tourist) Maasai village, and were welcomed inside a woman’s hut made of cow dung and tree branches that she made by herself, which took her seven months. It was used for cooking, sleeping, and protecting some of their animals at night. The inside was tiny, hot, immaculate. When we visited a residential school for Tanzanian children, they greeted us with bare feet and smiles. When I climbed out of our Land Rover, at least (no exaggeration) 100 children surrounded me, smiling shyly. I said hello to each one of them, and some of them shook my hand. But most of them just wanted to touch my arm; they seemed fascinated by my pale skin, and they explored with the gentlest of fingers. Their classrooms were wooden benches in old, plastered buildings, their dorms more of the same. The ingredients for their meals of beans and rice were stacked in burlap sacks in a storeroom. But each child was so proud of their school, and the opportunity it gave their future. They actually had an old model copy machine under lock and key, but the school didn’t have enough money to buy paper for their final exams. Paper that cost all of around $10 was a luxury they could not afford. All of the moments were special, but one rises above the rest in my memory, filled with laughter. 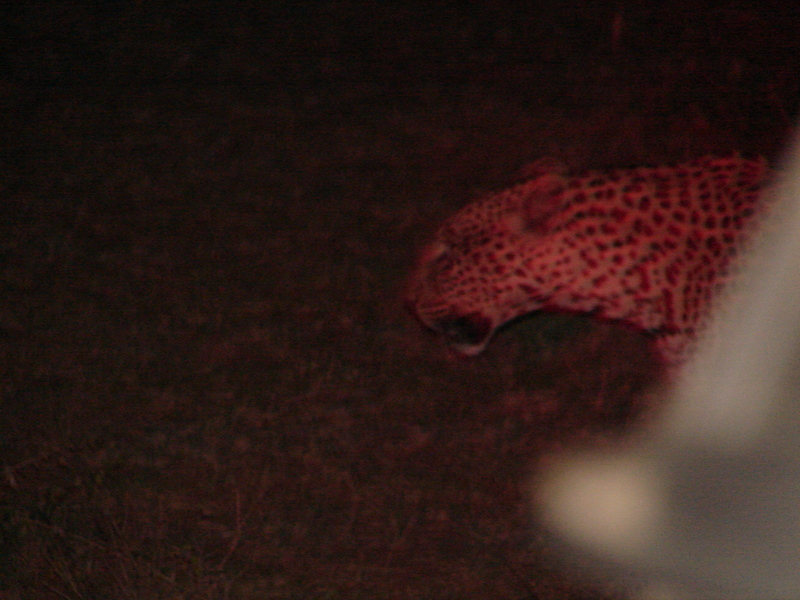 We arranged a night drive in order to try to track a leopard that had been seen in the area. On this game drive, there were 6 of us in a tiered seat Jeep: the four of us from the USA, our Tanzanian guide/driver and a tracker who sat on the left front part of the vehicle, on a seat attached to the hood. In order to not disturb the nocturnal animals, we traveled without headlights. The tracker had a red light with him, so that if we saw an animal, we could actually “see” it without bothering the wildlife with the harsh glare of a spotlight. At night. No paved roads. Barely a trail. No head lights. Driving a few feet from the edge of a 12-foot drop to a dried out river bed (Tanzania was suffering another drought). At a high rate of speed. Hitting bumps and tree limbs and rocks and mud wallows. The driver using one hand to steer and the other to hold a walkie-talkie, conferring with another guide driving on the opposite side of the river bed. Eyes glued to the darkness, hoping to see any sign of the leopard’s spots. Wait – it gets better. All this time, the six of us, with two in broken English, were belting out “The Lion Sleeps Tonight” with blistering enthusiasm. Everyone knew the words; this was something that transcended cultures and perfectly fit the moment. In that moment, there was nothing but sheer joy in the experience. No worries…be happy. That kind of joy. Why worry about safety or being eaten by predators in the wilds of the Tanzanian bush? This was heaven, and the only race here was human. Oh – I almost forgot – were we successful in our hunt? Yes, we spotted the leopard and tracked him for a few miles, until he disappeared into thick brush. But that evening was a success without the leopard. Interconnected. No boundaries or differences. In the moment. Together. Laughing. A blessing in disguise. Sacred ground for all of us, alike. Be well, Tanzanian friends. Be well. You are now of my family. My thanks for your gift of welcome and the experiences of wonder and joy. I will come again. As I watched the breaking news, I put my head down and smiled, tracing the bracelet on my wrist. I wear the Möbius bracelet, engraved with the Prayer of St. Francis, to remind myself of my purpose. The Poor Man of Assisi became a living prayer. St. Francis, who by embracing the poor and the marginalized of the world, affirms the light that is within each of us. Those marginalized human beings who I journey with as a counselor or as a volunteer – the lonely, the poor, the dying, the mentally ill, the abused, the ostracized, the forgotten. Seeing with the eyes of the heart. Where I look, in a sense, my heart sees unconditional acceptance and positive regard. Difficult? Sometimes. Necessary? Always. Remember one of my previous posts, “She Who Hears the Cries of the World?” St. Francis knew of that light within each of us. Chaplain Susan knew. And with St. Francis’ help, so will I. Later this year, I am blessed to take part in a week-long healthcare renewal retreat called “The Art of Presence.” It promises ‘renewal, respite and reflection’ as I am reminded of the sacredness of my calling in the giving of compassionate presence as a counselor. I so need this discernment for the next part of my journey, and I have no doubt that it will be shown to me. Especially since the retreat will be held in a place called Assisi. Assisi, Italy. St. Francis’ birthplace. St. Francis’ place of burial, in the crypt of the Papal Basilica of St. Francis of Assisi. My journey that will take me onto the same cobblestone streets where St. Francis walked, prayed and healed. Where I can best offer my gratitude for all blessings received (and they are many) in this life, and where I can best humbly ask for guidance, strength and wisdom in providing compassionate presence to those most in need. 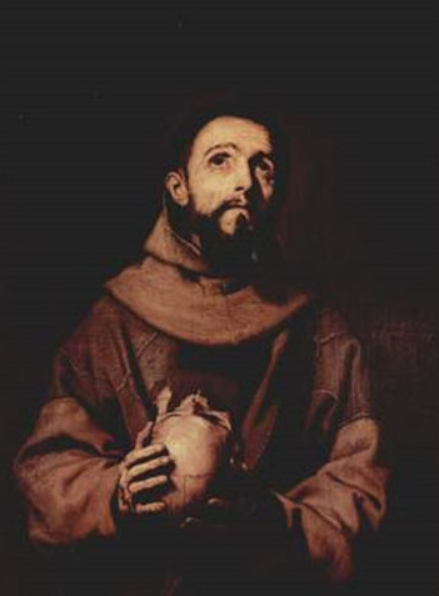 This wayfarer – this pilgrim – this journeyer – seeks the essence of St. Francis in the place where his sacred work began. Even though I carry St. Francis inside my soul, my heart wants to see his birthplace. Perhaps it will be my birthplace as well.